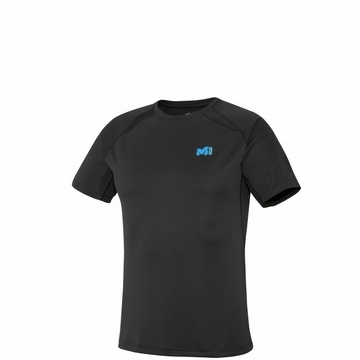 To handle intense alpine outings, this technical tee base layer with dual design is worn next to the skin for optimized wicking during serious exertion. Extremely light SILKWEIGHT SOLID is a super-smooth primary component, making the LTK INTENSE ZIP exceptionally comfortable. It meets the requirement of high in-action breathability. Lighter, airier honeycomb knit inserts maximize air circulation to keep the body dry during alpine performance. The clean-cut design, flatlock seams and ergonomic fit, with seamless shoulders, help you kick on fast. In use, the anti-odor POLYGIENE treatment is welcome for inhibiting bacteria build-up, as are the eco-friendly LOW IMPACT label plus hi-vis markings to keep you safely visible in low light.